You may not be a “tattoo person,” but come on, admit it: don’t you have moments where you feel like rocking a little ink? 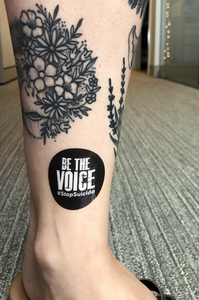 This all new waterless Be the Voice Temporary Tattoo doesn’t involve needles, washes right off, and lets you emblazon your skin with a circular “Be the Voice: #StopSuicide” logo in bad-to-the-bone black. Embrace your inner rebel and rock out a little. 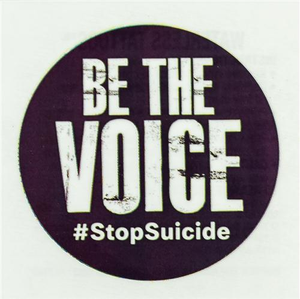 1.75”. Comes in packs of 25.